Your yard can easily become an inviting and practical extension of your homes interior living space with the addition of a patio, outdoor kitchen, fire pit or fireplace. 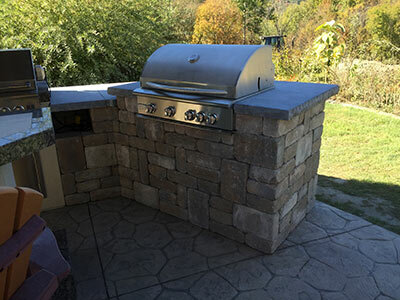 Outdoor Kitchens – Create a fantastic outdoor space for food prep, grilling, serving and entertaining. Masonry fireplaces are the envy of any room. They add interest and a central viewpoint to any area. Their appeal is probably due to a primal instinct of warmth that a fire brings. Whether it is the texture of the stone, the grand feel of a fireplace or some nostalgic memory, masonry fireplaces are always a welcome site. Most fireplaces are built for indoor rooms however a masonry outdoor fireplace is growing in popularity. 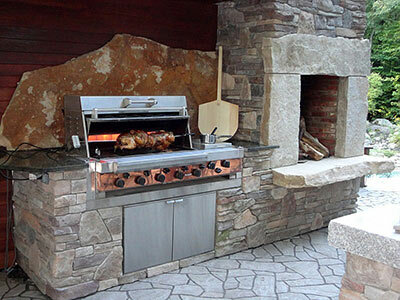 These masonry fireplaces make outdoor living spaces more enjoyable. If you are in the process of building a home or want to add another space to an existing home, consider including an indoor masonry fireplace or an outdoor masonry fireplace. We can help you choose your materials, incorporate special features and plan out the size and design that fits your home. Some basic examples of finish treatments include, brick and natural or synthetic stone. Large and small - near the house or in a secluded area of the yard. 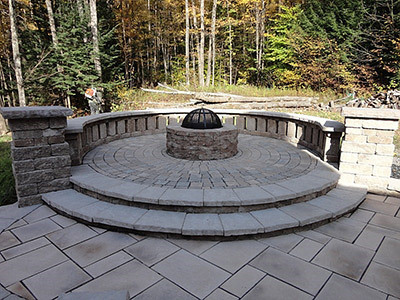 A small round pit reminiscent of a casual campground or an elaborate stone fireplace with a chimney. They can be designed to burn wood or use Liquefied Propane (LP) gas. 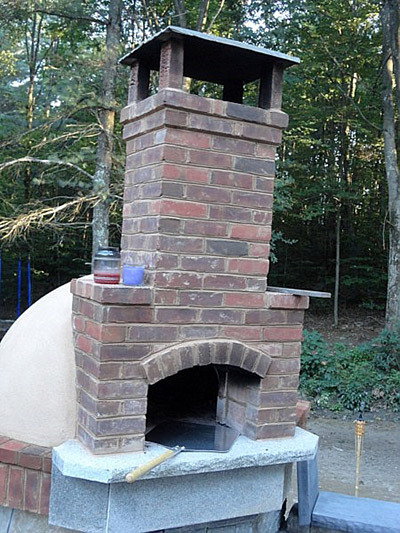 Create your own homemade pizza in a custom designed outdoor oven. 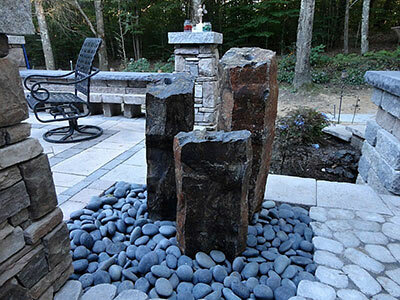 If your looking for looking for tranquility, let us recommend a nice water feature to enhance your home and help you to relax and escape in your own backyard.